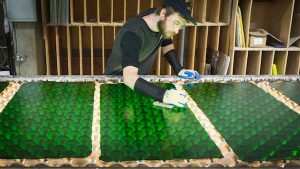 You are here: Home / Art of Stained Glass / Bullseye Glass is Producing Green Artglass Again! Get ready to break some glass! 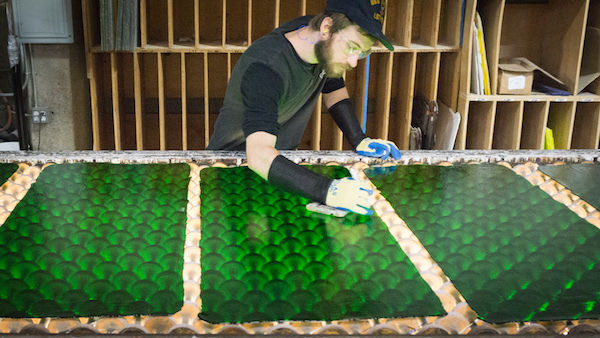 Bullseye Glass has been approved to use chromium again and is firing up to make some of their gorgeous green glass.